It’s hard not to notice that Sacred Beast is always open. Through some Herculean effort, the restaurant operates seven days a week, from late morning until well past midnight on five of those nights, making food from scratch. A dining establishment, if I may point out the obvious, will get a very different kind of customer at 6 in the evening than at 1 in the morning. Two acquaintances of mine who spoke highly of Sacred Beast both singled out the deal where one can get a hamburger, a shot, and a beer for $15. A few other friends, who I suspect dined earlier in the evening, mentioned different dishes—and had a few more reservations about the food. This review is not meant for the 1 a.m. crowd, because everything tastes good at 1 a.m. (My late-night college meals at Jack in the Box once felt like they ranked with the best that Paris has to offer.) 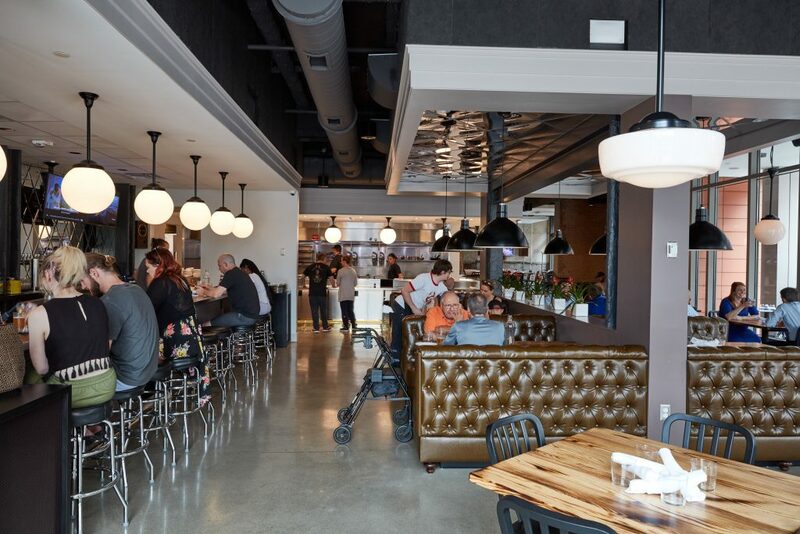 Instead, it is to guide the 6 o’clock people to Sacred Beast’s real virtues, which can be hidden in a menu that features too many examples of only slightly elevated bar food, an already overcrowded field in OTR. Although Sacred Beast advertises itself as a kind of upscale diner, and has the motto of “Simple Food. Taken Seriously,” the real gems for me are the oddball dishes that don’t quite fit the diner mold. Chefs Jeremy Lieb and his wife Bridget both once worked at Maisonette and have a firm grasp on classical technique. My first bite at Sacred Beast was the chicken liver mousse—and what a wonderful bite it was! Smooth, delicious, and utterly unmetallic, served spread on pieces of toast with pickled shallots on the side. 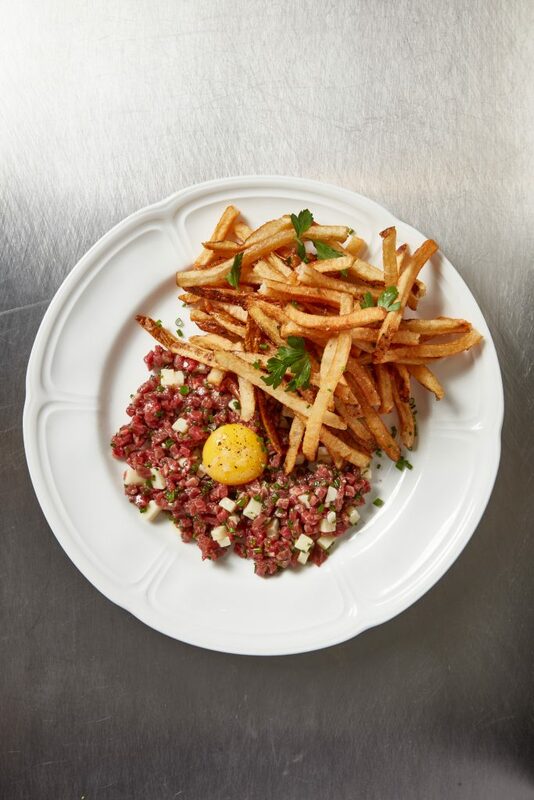 The dish exemplifies everything this restaurant could potentially be: elegant but unpretentious, easy to share, somewhat unusual (you don’t find much chicken liver in restaurants these days), and pleasing to a diner at any time of day or night and at any level of sobriety. You might think, from the mousse, that Sacred Beast is primarily French in inspiration, but the menu can be disorienting in its eclecticism: foie gras torchon is next to shrimp fries, and a haute cuisine watermelon salad with piped puffs of avocado mousse is next to a diner breakfast and deviled eggs. Most restaurants at this level would not think of serving a basic tuna salad, but there it is. With capers, big slices of tomato, and chili oil, it is pretty similar (or was; the menu has changed since my last visit) to what you would make at home if you were feeling a bit fancy, but a good dish is a good dish. I had a similar reaction to the matzo ball soup: ordinary, I suppose, except for the lovely sprinkle of dill and the addition of sweet parsnips, but well made, flavorful, and satisfying. Another highlight was their take on pound cake, made with almond flour to achieve a much lighter texture, and served with a seasonal strawberry jam and cream. It was airy, nutty, and just unusual enough to be memorable. The winners are scattered throughout the menu in every category. Some of the classic French fare is excellent, and some feels unbalanced and unsubtle. There is no point, for example, in serving foie gras with strawberry jam so sweet—the same one, I think, as in the cake—that you can taste none of the torchon’s contents. Some of the homey dishes, like the tuna salad and the deviled eggs, are quite good, but the burger, which I downed without the double-fisted alcoholic sidecars, is profoundly ordinary. The pickles may be homemade and the bun may be toasted, but in the end it still tastes like a Big Mac. I’m guessing the chefs love to cook and eat the mousse and the fluffy omelette; the burger seems to be there because everyone likes burgers and you must have one on the menu. The unusual passions are left for the smaller plates, and it was these cheaper dishes, generally $10 and under, organized near the top of a column headed only “Now Serving” (there are no separate lists of entrées and appetizers), that have some spark. 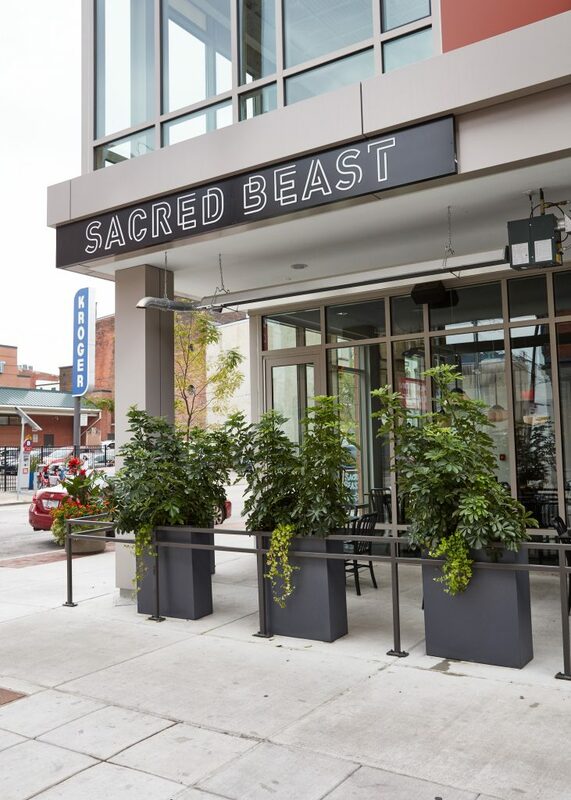 Sacred Beast runs well: The service is good, and there is some flair about the place even within its rather chilly industrial design. I liked the vintage touches, from the facsimile reel-to-reel audio system to the mostly classic cocktails, like the Sidecar or the Sazerac, listed with their creators and years of origin. The drinks are all solidly made, but I found it interesting that my two favorites were the originals: the oddly satisfying Covington Iced Tea, a lemon and coffee concoction made with cold brew, San Pellegrino, and vodka; and the Sweet T, with herbal tea, tequila, and muddled strawberries. I wanted more of the menu, especially the larger plates, to follow the lead of these cocktails—to be weirder, more personal, more unique to this particular establishment. We have enough fries with things dumped on them, and you can get an Old Fashioned anywhere. 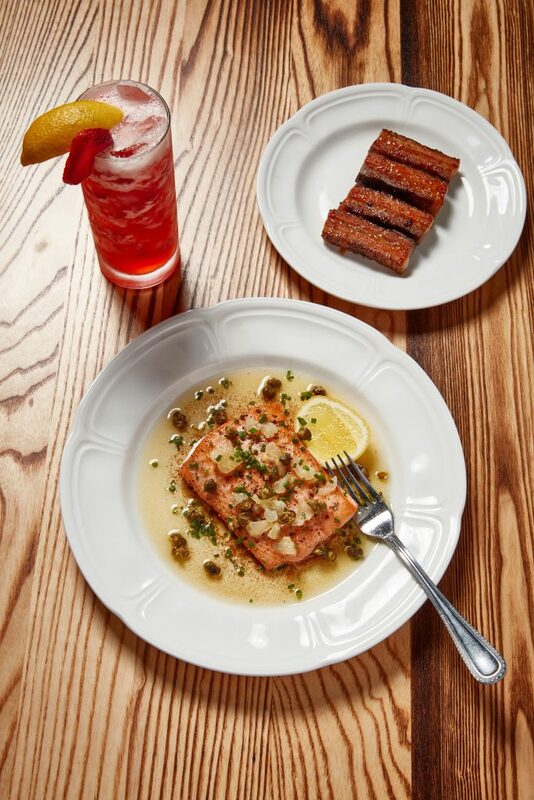 OTR has some good restaurants, and a few great ones. Almost all of them have a certain space they have carved out for themselves. Sacred Beast, as it ranges across many types and registers of food, is missing this sense of self-definition, and could benefit from a better sense of what might make it special. Personally, I was most intrigued by their elegant, shareable twists on classic snacks, but there is enough talent and experience here for this young restaurant to keep exploring and cook its way into an identity. 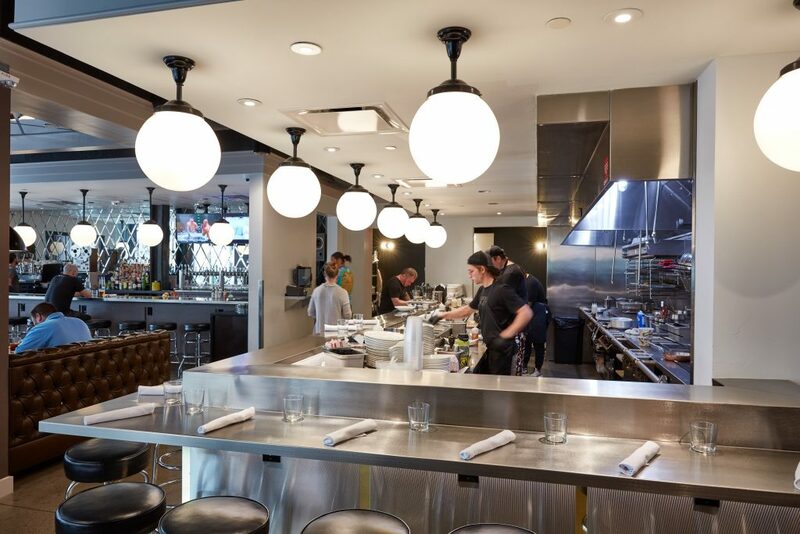 Part diner, part bar, part fine dining, it’s interesting, inconsistent, and all over the map.